You may have heard that McDonald's and UberEats recently partnered up. In fact, to celebrate the collaboration they delivered Happy Meals to children and families staying at the Ronald McDonald House on Chestnut Street. 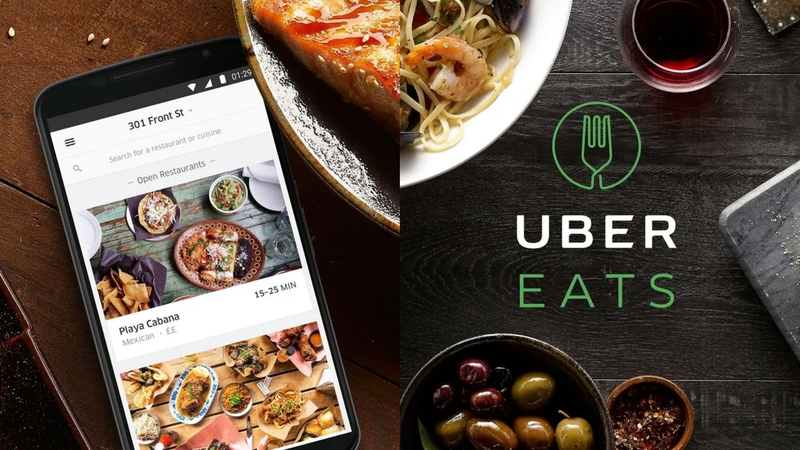 Through the partnership, customers can now place McD orders using the UberEats platform (use code "eats-q370j" to get $10 off your first order!). And today - July 26th - marks McDelivery Global Delivery Day! And to further celebrate, McDonald's has brought you the McD Global McDelivery Collection! It's a custom collection of home goods and merchandise. They're seeking to create the ultimate experience for when you order McD's right to your door through UberEats on July 26th! These items are FREE and include onesies, sandals, and hoodies. You already know about UberEats right? It's the same platform and account that you use for Uber, only you can order delivery right to your door! With the exception of soft-serve cones (obviously), the full McD menu is available. Note that same as a delivery fee, there is an UberEats booking fee that applies to each order. Digital transformation is where it's at and McD's has joined up as well. In fact, they're rolling out digital menu boards, mobile ordering, and yes - table service - across all of its 14,000 U.S. restaurants later this year. While McDelivery is available at 97 restaurants in the Greater Philadelphia region, if you want to get the Global McDelivery collection, participating Philly restaurants include: 710 Adams Ave, 2109 N. Broad St, 29 E. Chelten Ave, 3725 Aramingo Ave, 22 W. Girard Ave, 5020 City Line Ave, 914 S. Broad St, 52nd & Jefferson, and 1891 S. State Rd.